When a friend of mine needs help my only question is how high they want me to leap. When that friend is one of my favorite authors who is in danger of not getting their next book published because of low sales then I am willing to leap to the stars to do what it takes. You may be wondering, if they are one of my favorite authors, and obviously such a great writer, then why are their sales low? It could be many things, lack of marketing, exposure, published in a foreign country. Even traditional publishing does not guarantee sales anymore. My friend, Ebony McKenna needs our help. If the sales of her first two novels don't rise then her publisher won't be publishing the third novel in her series and that would be a terrible travesty because her books are outstanding. To help get the word out about her awesome books I'm giving away the second book in her series here on Heather's Odyssey and my Critique Sisters are giving away the first book in her series on the Critique Sisters Corner. +1 for being a follower and commenting. +2 for entering here and entering on the Critique Sisters Corner where they're giving away Ondine: The Summer Of Shambles. +3 for tweeting or blogging about the giveaway. +4 for placing a link on the sidebar of your blog about the giveaway. That's a possible total of 10 entries! Be sure to provide links to the places you tweeted or blogged about the giveaway and total up your points in your comment. You have until June 28th. The winner will be announced here on June 29th! Best of luck to all of you! Another way you can help is to review Ondine on all the review sites you know of if you have read it. 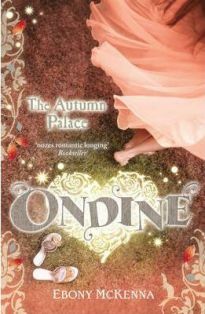 Ebony is sweetening the prize by giving away two copies of Ondine: The Autumn Palace here on Heather's Odyssey and 2 copies of Ondine: The Summer Of Shambles on Critique Sisters Corner. That's a total of six winners! Be sure to mention whether or not you have an ereader so I know if I should enter you for both the ebook and the paperback. Humorous, fun books are fabulous! There are never enough of them for readers. Yes, this writer deserves our support. What a great giveaway, Heather. Thank you. 6 points for me - follower, entering on blogs, and tweeting! I love Ebony! Can't wait to read her books. I entered at the other blog. So cool! I'd love to read this. Ah, I remember you mentioning this on #WritersRoad, I'll have to go over to Critique Sisters and sign up for the giveaway! Hi. I'm a follower and I entered at Critique Sisters as well. I have a Kindle. You can certainly count on me... Put me down for all ten. I need to get busy .... LOL. I'll be back with all the links and total. I'm back again with my links... Put me down for all ten ....YAY! I'll tweet about in several more times this week and weekend. I hope this helps generate some positive support for Ebony. sounds like a great cause, and the cover of Ondine is beautiful! i hope the third book gets published! sadly no e-reader for me, just good old paper! So nice of you, Heather! Good luck, Ebony! Getting started with this...count this as #1. I'll do as many of the others as well and get back to you! tweeted and put on Facebook...good luck! I'm borrowing it from the library. Not that it helps your friend. Heather, This is wonderful how you're helping Ebony. And... she has one more sale! I'm going to go buy her book right now. Thanks for always leaping to new heights for everyone. You're the best and good Karma will come back your way. As others have said, Heather is an absolutely fantastic friend and champion. I count my blessings that our paths have crossed. I'm trying hard to hold it together because quite frankly I feel like having a big girly cry. I wrote the very best books I could. My publishers worked very hard on the edits and the covers - my goodness the covers are pure magic. I think we're all scratching our heads wondering why both books aren't doing better. Stina, borrowing from the library still helps me and other authors because it supports your local library (always good) and shows them that the book is getting read and being shared around. Which means they might order in more if demand increases. Heather, you're awesome. Thanks for being such an amazing support for Ebony and all writers. How sweet!!!! I have tweeted on both of my twitter accounts @sabbuha and @worddiaries I wish Ms McKenna all the best!! Heather, you're so awesome. And so is Ebony. I'm not entering. I'll just go buy both. It's that instant gratification thing. :) Best wishes and good vibes for lots of sales, Ebony! OH MY GOSH!!! NOOOOOOOO!! I must read book three!!!! *stands on chair* READ THESE BOOKS PEOPLE!! Okay - I will figure something out too. I did the Amazon reviews, but clearly more must be done. Good luck to Ebony! 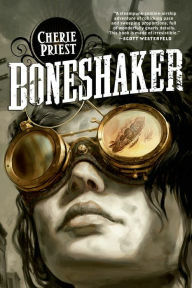 I'll see if I can buy it in the UK, maybe on Kindle? What an adorable book cover! I've tweeted the link to this contest. Good luck! Speaking of helping folks out, I've created a new page on my blog to list my blog friend's published books. When yours gets published this fall, let me know and I'll add it! So sad (and scary!) that published authors are getting dropped mid contract!! Good luck to your friend... I truly hope everything works out fine for her! Hi Talli, Waterstones has been pretty supportive in the UK, and I've seen kindle versions on Bookdepository and Amazon UK. Massive thanks. Hi, Heather and Ebony, I'm a follower of both Heather's Odyssey and Critique Sisters Corner and have comments on both posts. I've tweeted the contest at @Michelle_Fayard and have placed a link at the top of my blog's sidebar; the address is http://michellefayard.blogspot.com. Although this adds up to a +10, I think the real tens are Heather and Ebony, for being so supportive of one another, and everyone else who's commented on these posts. Ebony, I would be glad to do a review of your book and follow it with an interview similar to what author Elizabeth Varadan and I did on my blog the last post of May and the first two posts of June. If this sounds like something you'd be interested in, I'd love to do it! My e-mail address is mefayard(at)yahoo(dot)com. Either way, I'll be cheering you on! 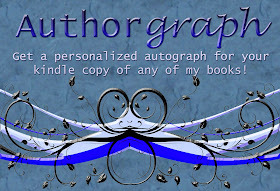 This is a GREAT giveaway to support an author! Okay, this bums me out because I love Ebony. I'm not entering because I'm just going to go buy her book. Eesh. Publishers. Thanks for hosting this contest! I hope Ebony's 3rd book gets to be released smoothly. +3 for tweeting about the giveaway. I do not have an e-reader. Thank you to everyone who entered and supported Ebony. The contest is now closed. Check back for the winners tomorrow!